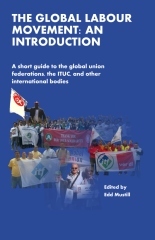 The Global Labour Movement – An Introduction: We’ve now completed the work on this, awaiting delivery of 100 copies to sell at our book launch on 4th May in London. Andy has been sent the text for possible translation into French. You can order copies already – here. Campaigning Online and Winning: We distributed 769 copies so far, of which 44 were free copies and 725 were sales. (77 were in French and 692 in English). Campaigns – new: On Friday, 26 April, we launched an urgent action campaign at the request of IndustriALL in response to the disastrous building collapse in Bangladesh. I’ve added some text about the campaign to the Wikipedia entry and hope to continue to use Wikipedia in future to publicize our campaigns. Campaigns – closed: We closed the Korea campaign. Still waiting to hear from the KGEU about what effect, if any, it had. Campaigns – overhaul: I’ve successfully migrated our campaigns from the old, flat ASCII (text) database to a relational database using MySQL. Now I’m working on correcting the script that shows campaigns to show this one instead. News – by country: I’ve changed the sort order so the most recent stories now appear first. News – posting: Now when you modify a news story posted by someone else (senior correspondents only) it will not change the name of the correspondent who originally posted the story. 2014 LabourStart Global Solidarity Conference in Berlin: Edd has begun work on this. May Day party in London (Saturday, 4th May): We’re up to 227 yes/maybe. Edd and I visited the venue last week. I ordered 15 copies of the book. Will probably order that number again in a couple of months. Will be a great auction item at fundraisers and something to give away or sell at conventions and conferences. Derek – the French version is even more of a “collectors”.